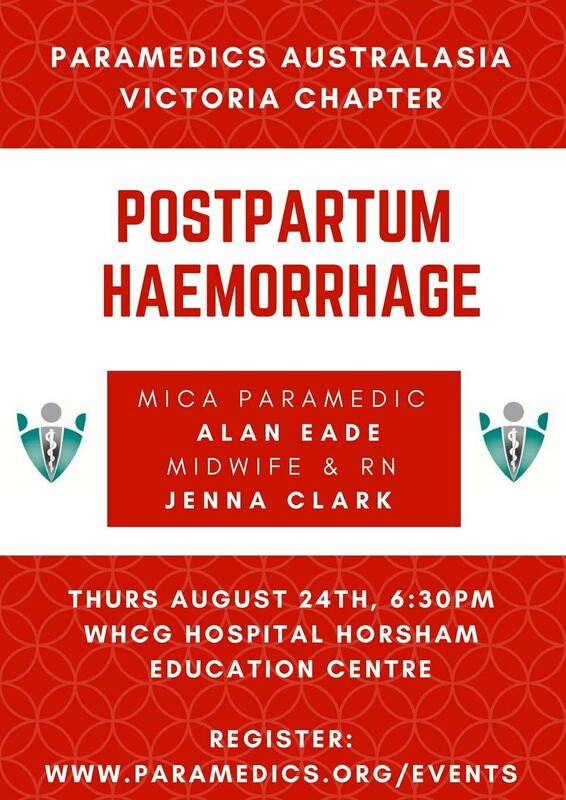 PA Victoria invites paramedics, nurses, midwifes and other allied health professionals/students to join us at the WHCG Education Centre for an evening discussing Postpartum Haemorrhage. Joining us at this event will be guest presenters Alan Eade - a Mobile Intensive Care Ambulance (MICA) Paramedic with Ambulance Victoria, and Jenna Clark – a Registered Nurse and Midwife with Wimmera Health Care Group. Together, they’ll present on how this obstetric emergency is treated before and after arrival at hospital. The evening will finish with some discussion on the V808 Transport Incubators. Doors open at 1830hrs for pizza and a 1900hrs start.